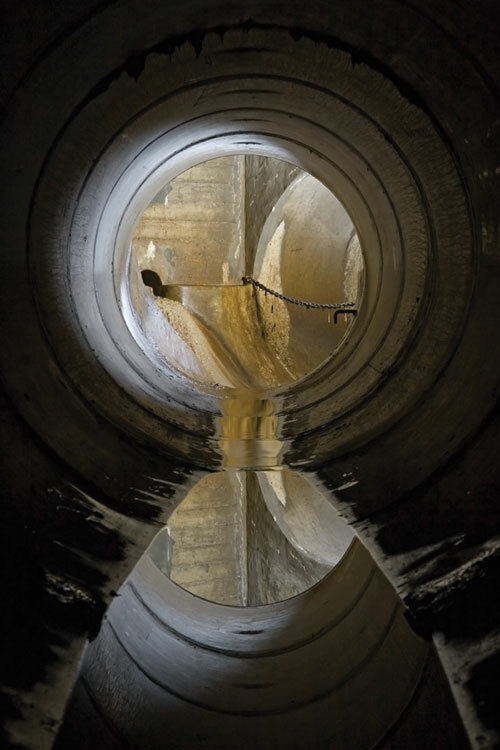 Michael Cook's photographs of Toronto sewers, in public installation at St. Patrick subway station for the 2013 CONTACT Photography Festival. 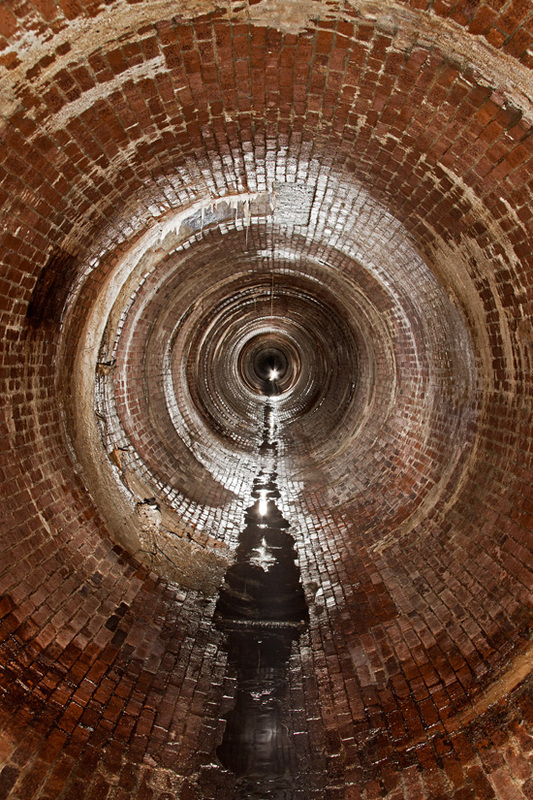 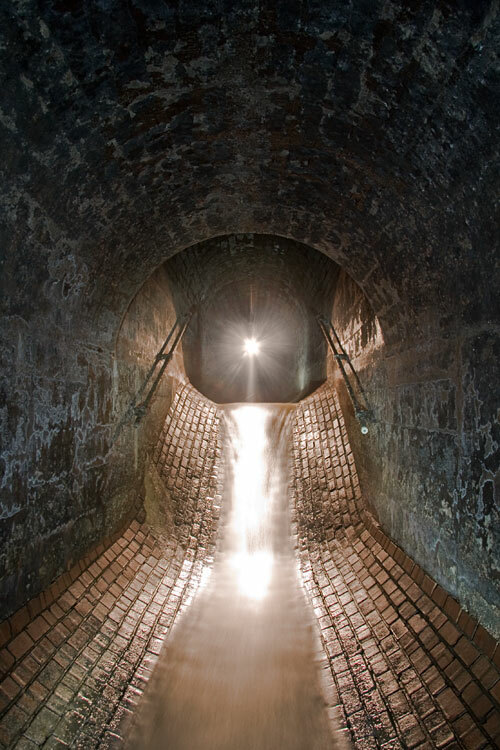 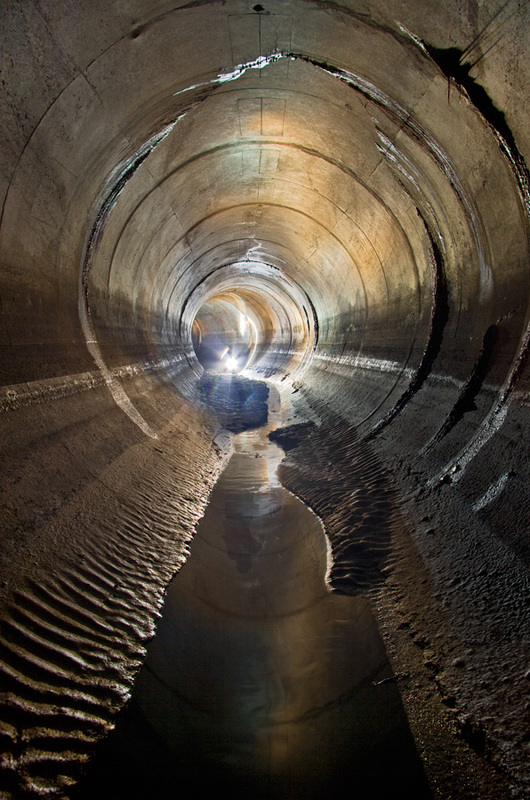 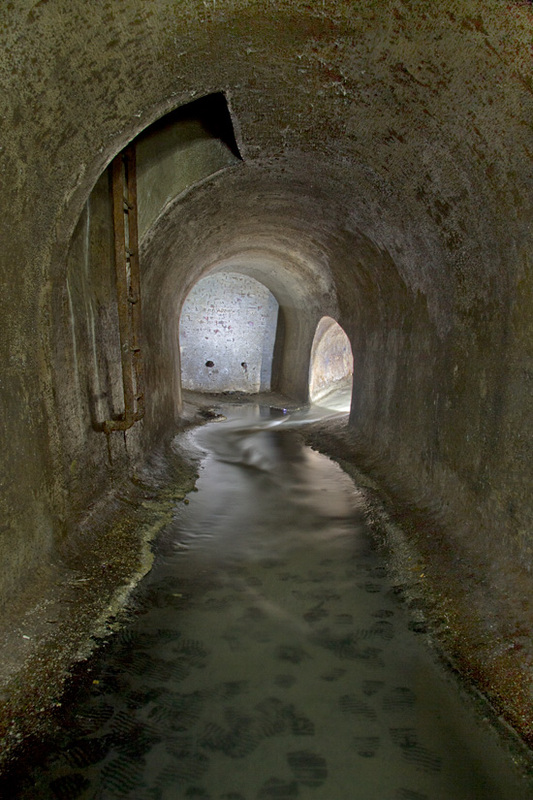 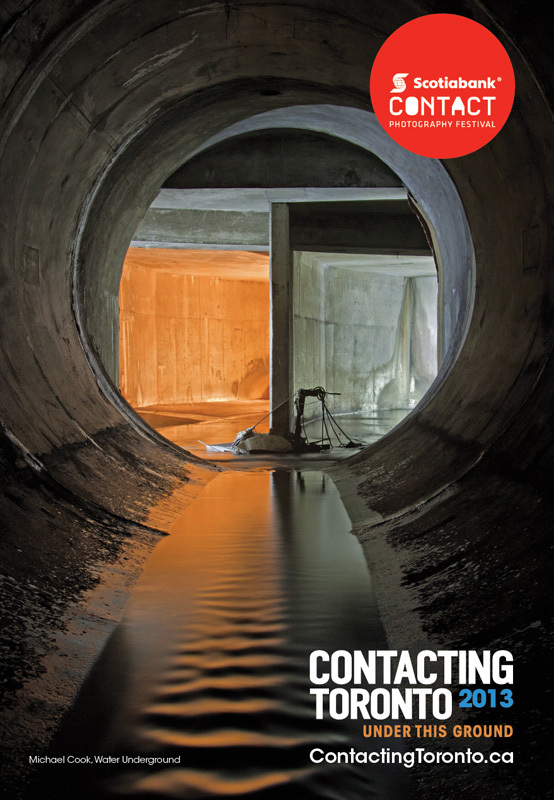 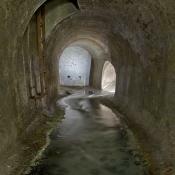 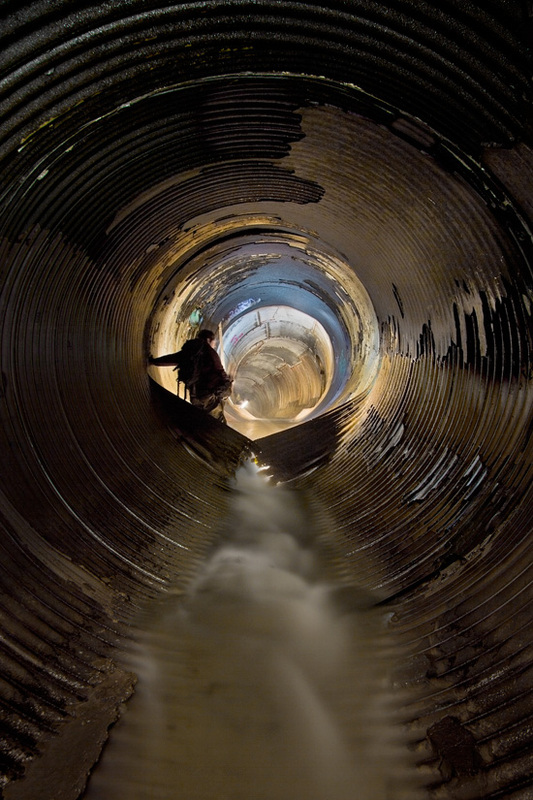 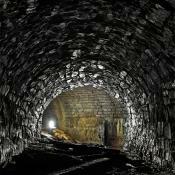 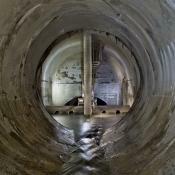 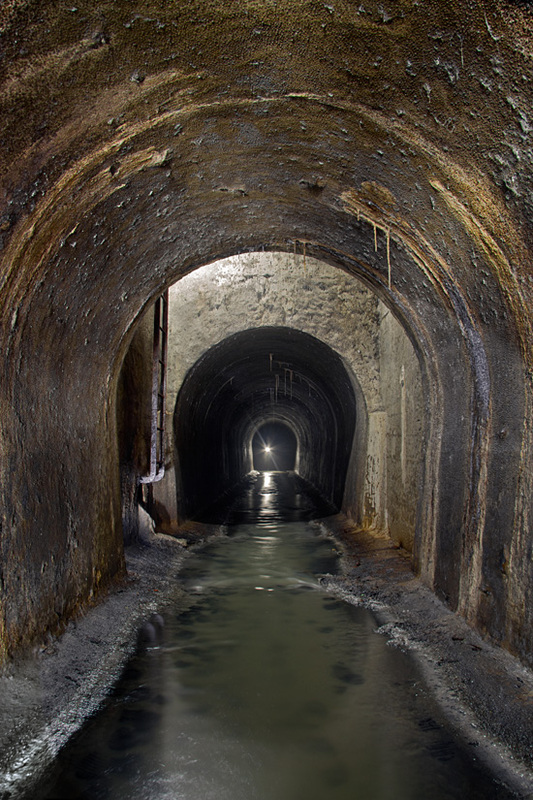 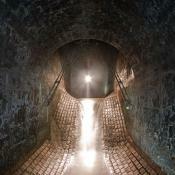 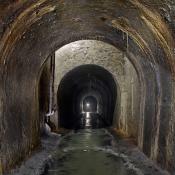 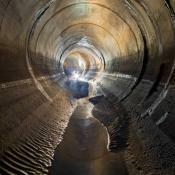 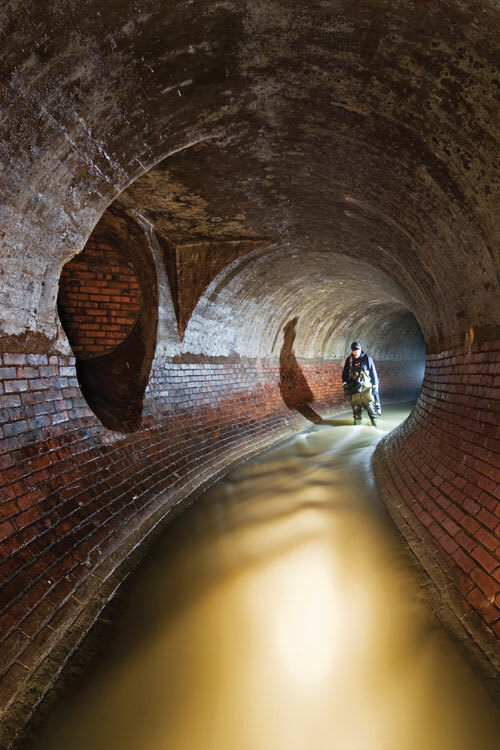 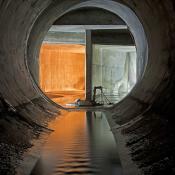 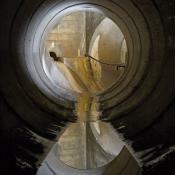 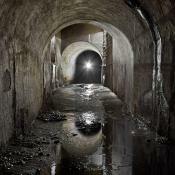 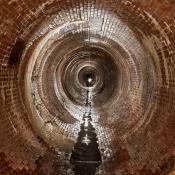 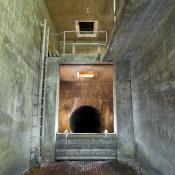 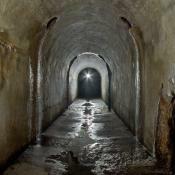 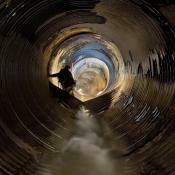 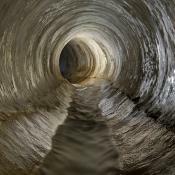 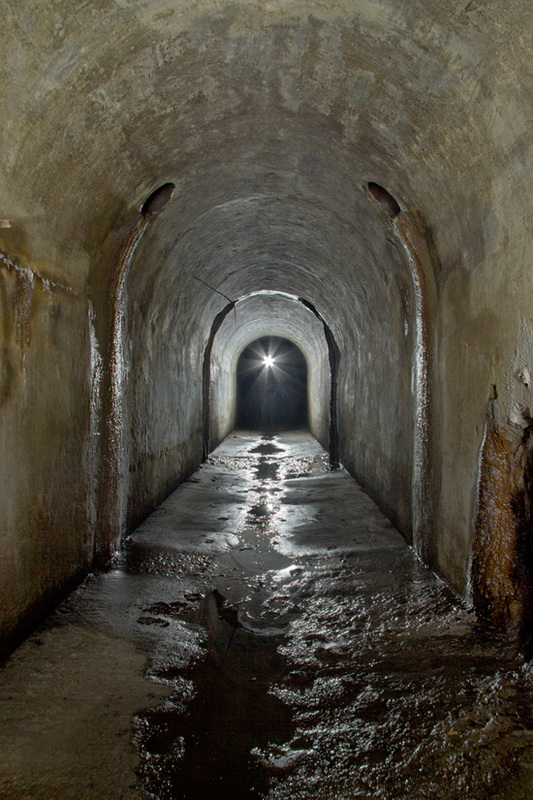 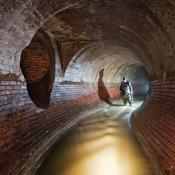 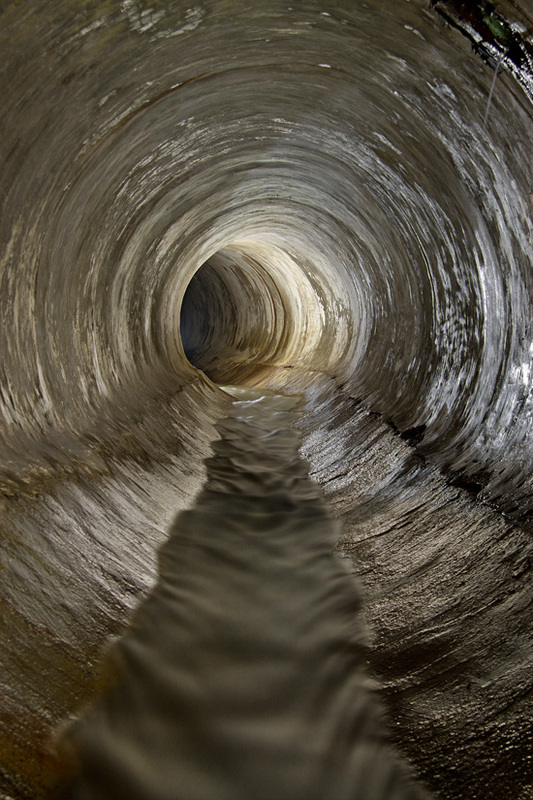 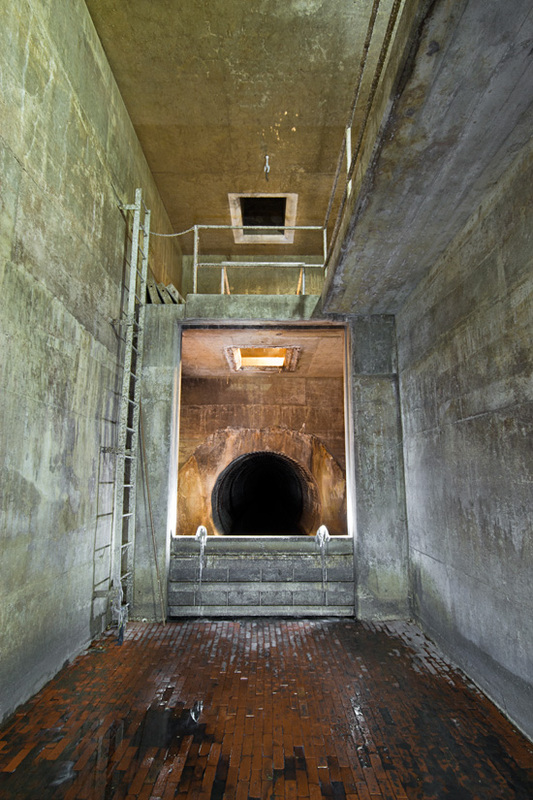 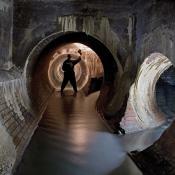 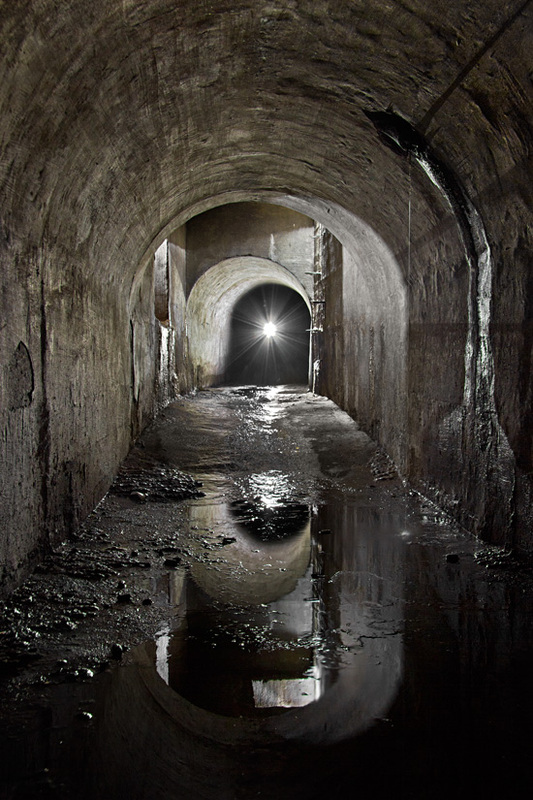 As part of Toronto's annual CONTACT photography festival, Michael Cook's photographs of Toronto's sewers and storm sewers were exhibited in a major public installation in the St. Patrick Subway Station. 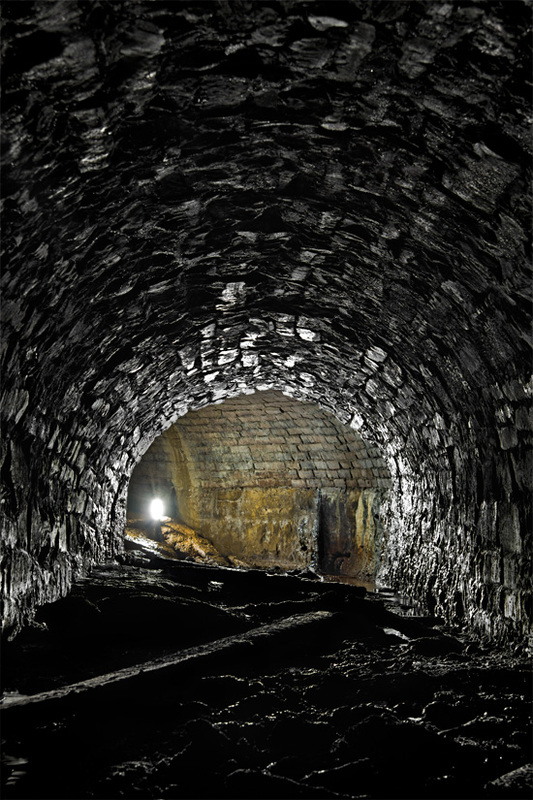 The exhibition was produced by Pattison OneStop and Art for Commuters, and curated by Sharon Switzer. 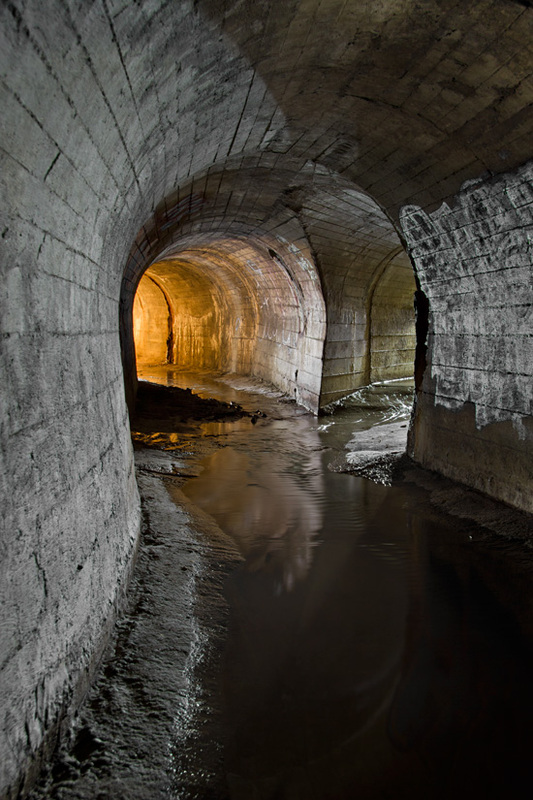 More than two-dozen photographs from the Water Underground series were installed on the subway platform and in the upstairs concourse, including thirteen new images that had not previously been exhibited on this website or in a physical venue. 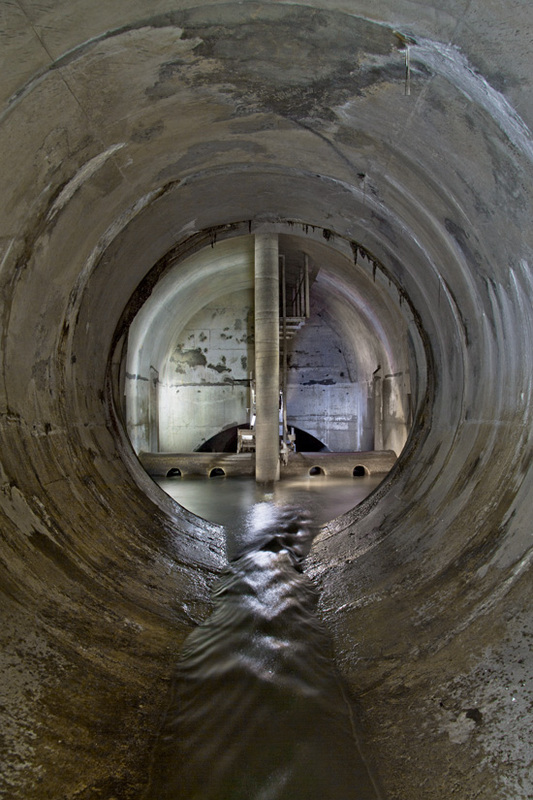 This was an unequaled opportunity to see Toronto's sewers at something approaching life size (at least in the case of the smaller systems—the larger conduits approach 5 m in diameter). 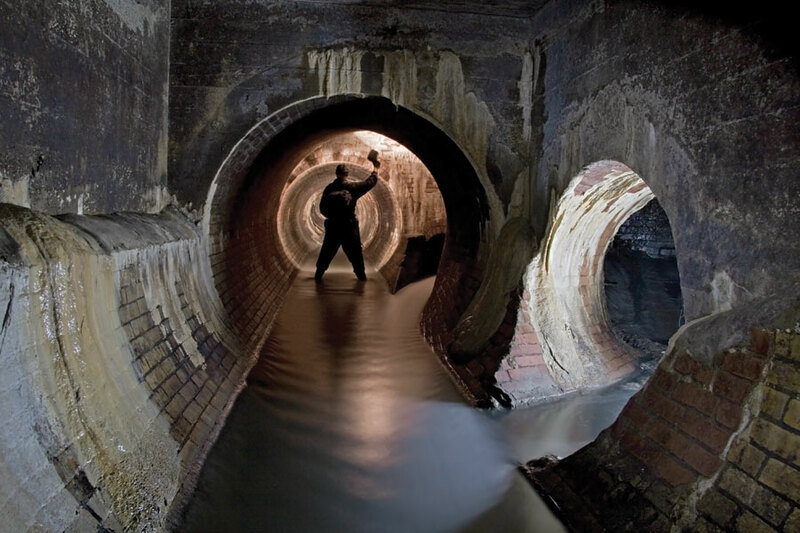 Through these images the public had the chance to imagine and "place" the sewer systems that they rely on to live in Toronto, as well as the challenges the city faces in handling its stormwater, wastewater, and the waterways that were buried and lost over the years. 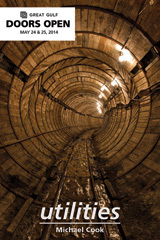 Two months before a severe storm struck large parts of the city, the exhibition was well-timed. 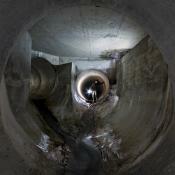 More information about the installation can be found at Pattison's Contacting Toronto micro-site. 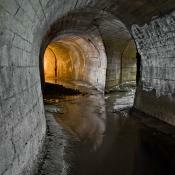 Images from this installation are available in a limited print edition through my sales agent, Circuit Gallery. 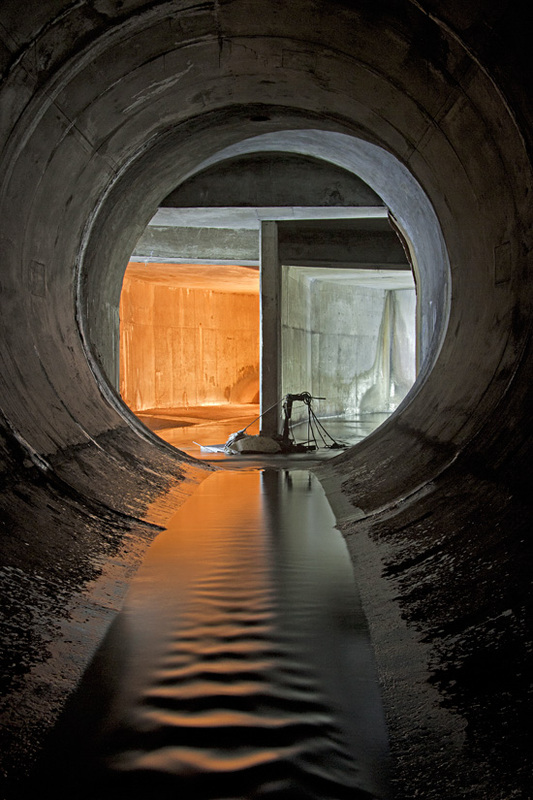 Visit their website to see images in the edition, and please call 647-477-2487, or sales [at] circuitgallery [dot] com (e-mail) the gallery directly for edition and pricing information.